Everyone loves a cheese ball to snack during the Holidays. Round, fun and tasty, cheese balls were born to party! They are also one of the easiest cold appetizers to prepare. 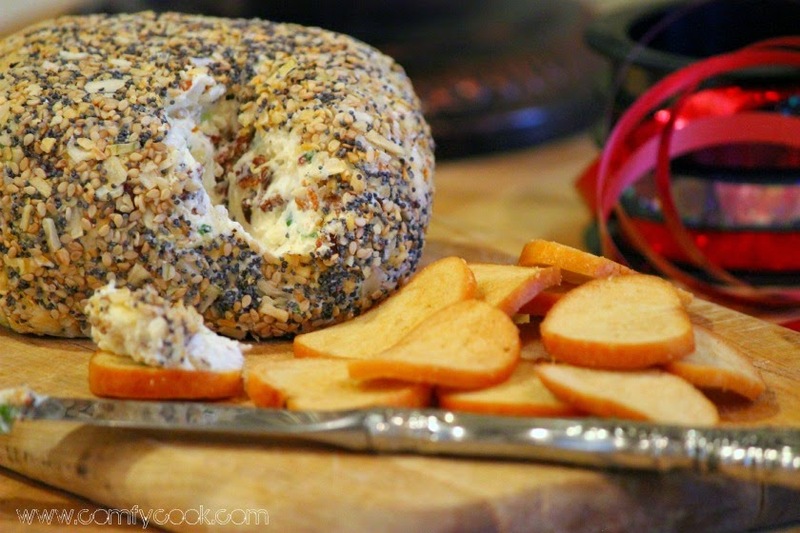 If anything goes, then you'll love this Everything Bagel Cheese Ball, loaded with seeds, garlic and onions. In a medium bowl, mix together cream cheese, sour cream, horseradish, cheddar, scallions and bacon. Form the cheese mixture into a ball and wrap in plastic wrap to chill for at least 1 hours. On a small plate, mix together the onion, poppy seeds, sesame seeds, garlic flakes, salt and pepper. Once cheese ball has set, roll the cheese ball in the everything bagel seasoning mix and plate with some bagel chips alongside. I LOVE this, Patti! It's like a few of my favorite things all wrapped up in one fabulous ball! Thanks Betsy! Everyone loves this!